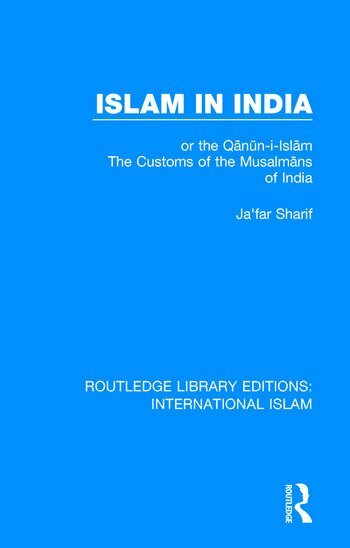 First published in 1832, this work was at the time considered an authoritative account of the beliefs and practices of the Musalmᾱns of India. This 1921 reprint includes an introduction from the editor, Dr William Crooke, which presents what is known about both Ja’far Sharif and the translator, G. A. Herklots. It also distinguishes the original material from the changes made by the translator and compares the book with other similar works published in the nineteenth-century. This book will be of interest to those studying the history of Islam, the history of ethnography and the British Empire.